I just love Bergamot oil. When I smell it, I immediately smile and feel more at peace in myself and with the world. It brings up comforting images: cosy kitchens in winter with the snow falling and a hot cup of earl grey tea, early-morning breakfast with marmalade toast, or hot nights in Cyprus eating preserved bergamot rind while sipping Ouzo. I could go on! 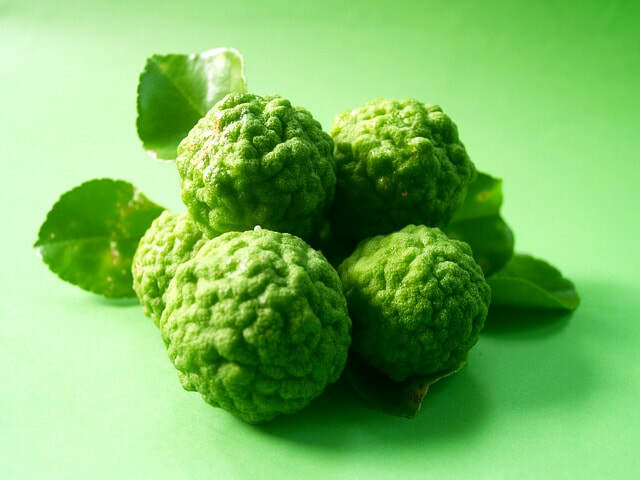 Bergamot is expressed from the rind of the fruit, which grows on a small tree. It's actually a cross between Citrus limetta and Citrus sinensis. It's a member of the Rutacea or "citrus" family and very beloved throughout Italy and the Mediterranean. Its fragrance is warm, comforting and reminds many people of Earl Grey tea! That's because bergamot essence combined with black tea is in fact what gives Earl Grey that distinctive aroma and flavour. The aroma of Bergamot essential oil is both sweet and bitter with a touch of dark floral at the same time. Some distillations can come across a bit powdery as well. It's very rare that I work with someone who doesn't like the smell of bergamot! One of the more well documented uses of bergamot is its positive effect on the nervous system – helping to uplift depressed feelings soothe anxiety and nervous tension. According to research by Saiyudthong and Mekseepralard, bergamot has effects similar to diazepam. It also helps with stress-related conditions in general, skin complaints, digestive complaints, respirator complaints and urinary system related issues. Chemist E. Joy Bowles describes Monoterpenes as having a drying and dissolving effect. This would help to explain why bergamot respiratory complaints as it would dry out the mucus. Esters have a sedative, anti-inflammatory and analgesic effect, all of which would prove useful for different aspects of an over-stimulated nervous system. This oil is photo-toxic, meaning that when applied to the skin and put under UV light from the sun or a tanning bed, it can cause burns and blisters to form. It's important to dilute essential oils in a vegetable carrier such as coconut or grapeseed before applying to the skin. 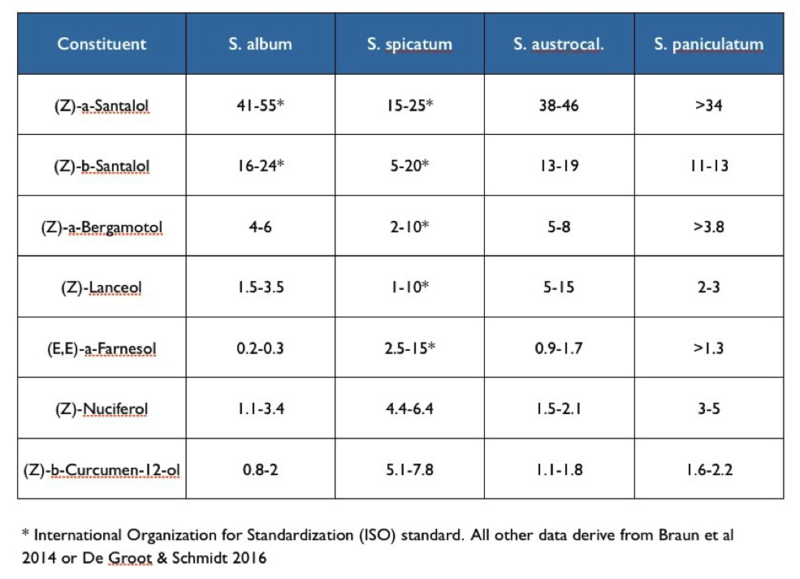 A maximum dermal limit of 0.4% dilution must be observed with Bergamot. If not, you have to avoid direct sun and UV beds for a minimum of 12 hours. TIP: It is possible to use "bergepten free"bergamot, in which case photo-toxicity will not be an issue. To help you get a feel for bergamot, try a couple of these blend experiments. You can put a drop of each oil on a tissue or 1 drop of oil per 5ml. So, say you have 2 drops, that's 10ml carrier oil (for example grapeseed oil). This is a safe dilution to work with for most people. Directions: 1 drop of each on a tissue, waived in front of your nose. TIP: You could then use this in a bath, on your skin after a shower or blended 50/50 with a plain hand cream. It's such a heavenly smell, adding even more richness and depth. Every time I make this blend, I literally want someone to massage me with it immediately. It's so comforting to people recovering from burnout, nervous tension, depression. This is also a very nice combination – but the geranium takes it to a different place than the previous blends, giving it a more medicinal quality. If the previous blends were focusing on relaxation and the nervous system, this has now brought the endocrine system into the picture more strongly. I think this combination would be nice with an Epsom salt bath as a once a month cleanse. 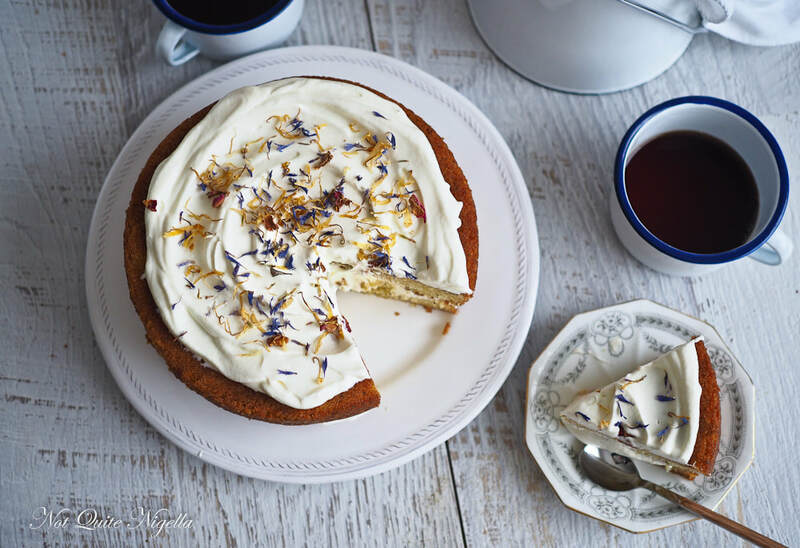 I found this very cool recipe from LorraineElliot over at "Not Quite Nigella" for a “London Fog” tea cake, using Earl Grey. I would be really interested to add a teaspoon of bergamot h hydrosol to cream topping, just to see how that works out! ​Hope you enjoyed working with Bergamot today, and happy sniffing! Sandalwood (Santalum album) has been used in the Far East primarily for health and spiritual applications dating back 3,000 years. It appeared in Vedic texts as early as 500 B.C. and in Sanskrit medicinal texts in 1,000 A.D. Egyptians, Buddhists, Tibetans and Ayurvedic practitioners alike found uses for sandalwood ranging from spiritual practices, to treating respiratory infections and venereal disease to embalming and cosmetics. By the 16thcentury, and thanks to trade routes between the Far East and the West, Sandalwood was also part of the Western pharmacopeia. King Henry III of France was reputed to have used Sandalwood as part of a linen powder to scent his clothes and Catherine de Medici was renowned for seeking out the finest ingredients to use in her perfumes. In modern times, however, the demand for Sandalwood has grown significantly, thanks to its use not only in Ayurvedic medicines, incense, and essential oils, but also for the cosmetic, perfume and flavoring industries. Traditionally, the main supplier of Santalum album has been India, a region where the plant grows native and boasts a rich historical use. According to research, between 1950 and 1970, an average of 480,000 sandalwood trees were harvested annually in India to meet the demands of trade. By 1974, research indicated that there were only 350,000 sandalwood trees left and the industry was halted. Some explanations for why the tree suddenly became so scarce are that it takes approximately 20 years for a tree to mature, at which point the heart wood and roots can be used to produce an essential oil, shavings and powders, i.e. the entire tree must be felled. Additionally, the trees are partially parasitic: they require host trees to both receive nutrients from by binding to the roots as well as protection from intense sunlight by the host’s canopy. If new trees and host plants are not promptly re-planted and if harvesting is not staggered in a sustainable way with proper soil maintenance, then it is easy to see how total deforestation and devastation of the Santalum album species occurred. As a result of these problems, the Santalum album trade was halted/greatly reduced. While other species of Sandalwood were produced or attempts made, none were so successful as the Santalum spicata species native to Australia. 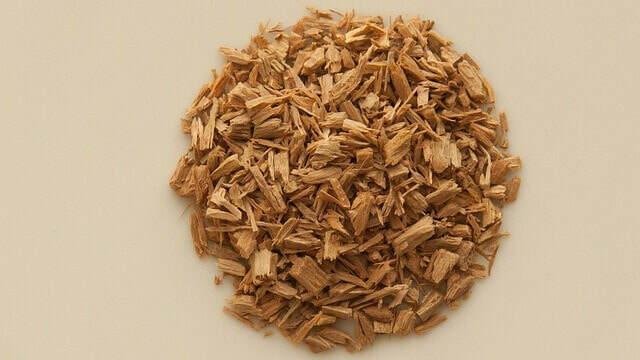 However, as efforts have been made to ensure that the growth and harvest of Sandalwood in Australia does not repeat the destructive patterns witnessed in India, Santalum spicata products are considered generally more ethical and environmentally friendly for consumers. There are however, some arguments against this. Locals to the Ord River, a region of Western Australia where large Sandalwood plantations exist, fear that such large amounts of arable land have been used for an as of yet unproven crop past the first 20 years. They argue that as the roots of the plant leave deposits in the soil, should the industry fail, it may leave their limited arable land useless for future food crops. Locals have also voiced dismay at the amount of mango crops that were removed to make room for the Sandalwood plantations and cite additional hardship to their local economy. The reason for this is that mango crops required larger numbers of seasonal laborers than the sandalwood plantations and many of the micro economies in the region depended on the backpackers and seasonal labor force for their own businesses. Lastly, it is worth pointing out that of the two main producers of sandalwood in Australia: Santanol and Quintis, Quintis has recently faced scandal and near bankruptcy after being investigated and found at fault for fraudulent avoidance of export charges. While this may not have immediate environmental impacts, it is worth noting that should Quintis go into administration, Santanol is poised to take ownership and become the single and largest producer in Australia. As the main financial backers for Santanol are a global conglomerate who have been described by Santanol’s Chief Executive Oficer, Remi Clero, as having no difficulties providing stable financial resources to back the company, this may not be in the best interest of the local people or the local environmental standards. In conclusion, while efforts to produce more environmentally friendly sandalwood products in Australia have been made, the oil remains somewhat contentious and will likely continue to be so in coming years. Hi there, Lauren here, and I'm so pleased to welcome you to the Synergy Blog here at Falcon Rose Aromatherapy! To start, what's synergy and what does it have to do with aromatherapy?? The word synergy comes from the Greek, synergos, meaning "working together". It's also a concept to describe a situation where the creation of something with all of its parts is greater or more powerful than the individual parts. So what does that have to do with aromatherapy? A large part of working with the modality of aromatherapy is the blending of different essential oils to help a person with whatever challenges or goals they present with. The interesting thing about essential oils is that while powerful on their own, when blended together they sometimes become even more potent at targeting and treating both specific and more broad or complex issues. Certain constituent parts in one essential oil will strengthen or intensify the parts in another. For example, Lavender (Lavandula angustifolia) and Clary sage (Salvia sclarea) are both able to help someone relax, but when combined this action becomes even stronger. In other cases, we can combine essential oils to help someone work with multiple issues in one go, for example stress, pain and exhaustion. By knowing which essential oils to combine for a specific set of complaints, we can create a synergy blend, or a blend that is going to be more potent because of the "cooperation" of the different essential oils working together. I just think that is so cool... and coming up with different synergies, or reading about them in books never ceases to impress me! I think as people we are also much more interesting and powerful when we come together and create our own synergies. Something I have and something you have, when combined, can become a potent force for good, or health or creativity. So welcome to this space let's see what we blend up!